SEOUL, April 16 (Yonhap) -- Creditors of Asiana Airlines Inc. will soon extend fresh financial support to the debt-laden airline, the chief of its main creditor said Tuesday, adding that its parent group's fresh self-rescue plan, including the sale of its flagship unit, is the first step toward normalization. Lee Dong-gull, governor of the state-run Korea Development Bank (KDB), told reporters that creditors of Asiana Airlines plan to provide a fresh liquidity into the airline before April 25. "I think that (Kumho Asiana) took its first step toward normalizing Asiana Airlines and increasing its corporate value," Lee said. It would take about six months for Kumho Asiana to complete the sale of Asiana Airlines, Lee said, adding that the group is expected to sign a preliminary deal with arrangers for the planned sale. 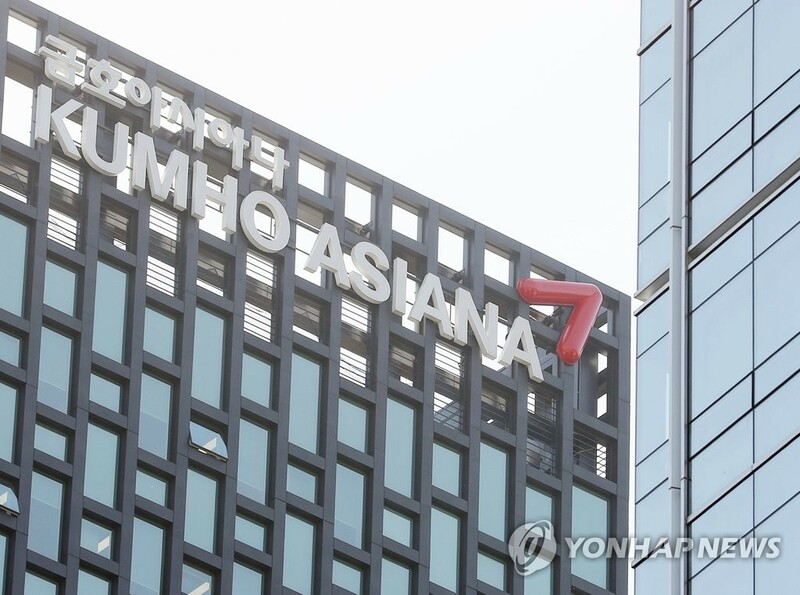 The comments by Lee came a day after Kumho Asiana submitted a fresh self-rescue plan to creditors, including the proposed sale of Asiana Airlines, in return for 500 billion won (US$440 million) in financial support. Lee said it is "desirable" for Kumho Asiana to sell its shares in Asiana Airlines and its two low-cost carriers -- Air Busan and Air Seoul. Creditors of Asiana Airlines will sign a deal with Kumho Asiana in late April or early May on financial restructuring, Lee said. "A sufficient level of funds will be provided to help Asiana Airlines stabilize its management," Lee said. Park Yong-hee, an analyst at IBK Securities, said the sale of Asiana Airlines could be valued at as much as 2 trillion won. Local media have reported that several business conglomerates, including SK Group, CJ Group and Aekyung Group, could be potential buyers of Asiana Airlines. Last month, Kumho Asiana Chairman Park Sam-koo stepped down as chief executive of Asiana Airlines after the company widened its losses by amending its financial reports. Last year, the KDB and Asiana Airlines signed a deal that required the carrier to secure liquidity through sales of noncore assets and the issuance of convertible and perpetual bonds. Asiana owes financial institutions 3.2 trillion won, and it has to repay 1 trillion won of the total this year, according to the company. Asiana swung to a net loss of 10.4 billion won last year from the previous year's 248 billion-won net profit due to currency-related losses and increased jet fuel costs.